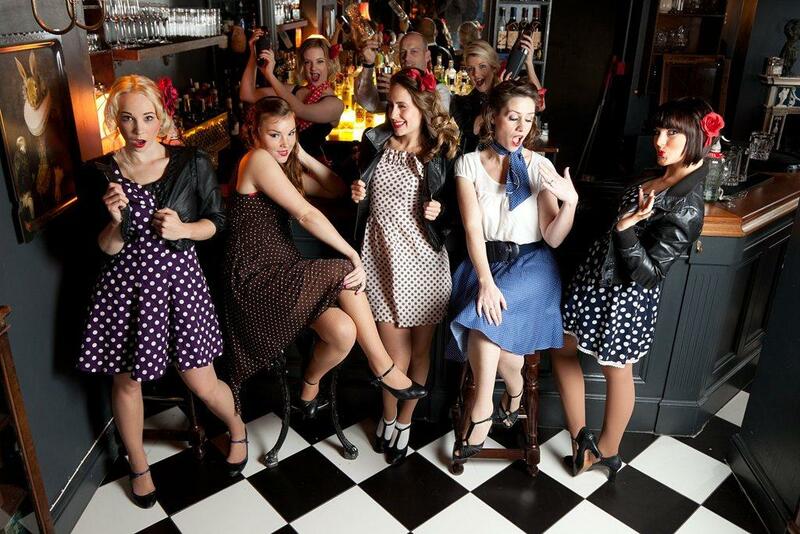 The Feathers are a professional Can Can troupe made up of eight luscious ladies with a flair for all things vintage. Already resident performers at both High Tease and Coco Boudoir, The Feathers are available for corporate events and cabaret bookings throughout the UK. 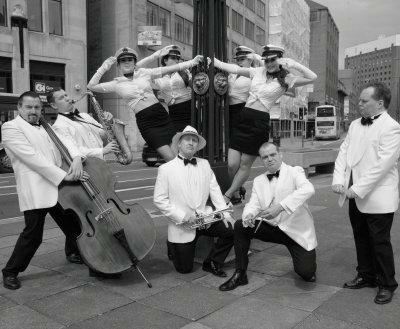 The styles of dance The Feathers specialise in include burlesque, showgirl, can-can (classic french & modern), Charleston, swing, jive, go go, tap & fosse jazz (Chicago). There are only a small handful of dance troupes performing this style of show in the UK and none of which are as diverse as The Feathers! Bob Fosse (“Cabaret”, “Sweet Charity”, “Chicago”) tribute acts featuring special guest live singer Laura Mai. A good quality sound system to play the music. Anything from a short routine of 5 minutes to a full 2 hour burlesque and cabaret show. The Feathers are by a considerable leap and bound, the most slick, the most engaging and the most professional dance troupe who evoke the authentic styles of loved by by-gone eras. They are a joy to watch and also a delight to book, adding distinctive flair to any event’. The Feathers are a stunningly professional outfit who are both a pleasure to work with and to watch. I was impressed with their costumes, variety of performances and energy. Also the feedback received from the audience was phenomenal and without question they we’re one of the highlights of the event. I would highly recommend them to any event programmer who is looking for an entertaining dance troupe capable of capturing an audiences imagination.